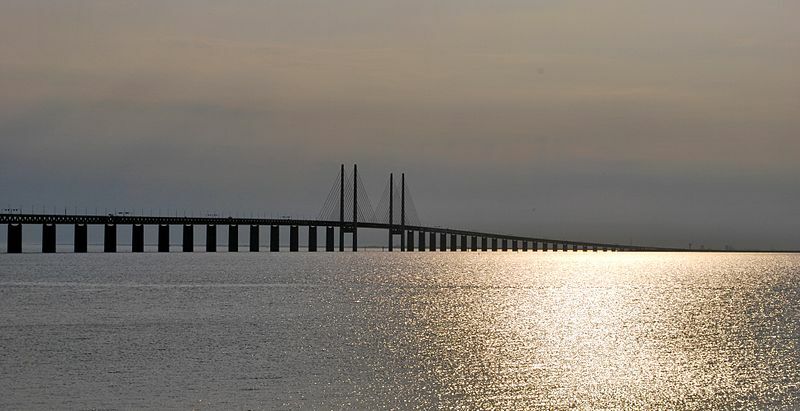 If you’ve watched the crime drama “The Bridge” on TV, you’ll be familiar with the bridge connecting the Danish capital Copenhagen and the Swedish city of Malmö. (* The CRM and email program of that bridge is surprisingly sophisticated. More than 20 000 cars cross the Öresund bridge between Denmark and Sweden daily. Most of the bridge users live close by, and about half of the trips are related to leisure travel, the other half being business. The bridge has nearly 300 000 loyalty program members, carrying a device that allows them to pass the toll booth through a priority lane. This is only one of the benefits they receive. If each loyalty program member crossed the bridge one additional time each month, the bridge company sales would increase by 60 million euros. Boosting traffic is the aim of the loyalty program. In other words, they want to increase the number of customers and increase their shopping frequency, like in any other loyalty program. Each member gets profiled according to his or her behavior pattern for using the bridge, and their declared and observed interests for leisure time. Based on the profile, the customer gets personalized communication from the bridge company, whether it’s by email, contact center, website or the mobile app of the bridge. Does your CRM program have these ten features? Here’s some of the stuff the Öresund Bridge loyalty program does. Is there something on the list that you could apply in your program? Customer contacts are tailored based on the customer profile that is unique to each individual. The same message never goes to all customers. Customer segmentation is based on the customer’s actual and observed behavior – not just on what they claim to be interested in when asked in surveys. In marketing emails, each click on each link on every email gets registered for each individual customer. This data is stored in the customer analytics and dialogue database. For instance, the customer clicking a link about a golf tour offer is probably interested in golf and will see golf-related offers in the future as well. The profile -based offers are presented to customers in both outbound and inbound channels. The customer contacting the call center is informed about the current offers most relevant to him or her. Every email campaign is used for testing different versions of the message. This so-called A/B testing is done in all campaigns. Consequently, there’s continuous learning and improvement in campaign results. The open rate of the personalized emails is impressive, over 30%. Communications program based on customer life cycle stage. The bridge company takes the customer’s life cycle stage into account in each contact. The stages they use are: Generate =>Develop => Nursing => Winback. Most of the 1-to-1 messages going to the customers are sent automatically, based on triggers. Automatized communications result in huge savings by reducing manual work and by preventing errors that are typical when creating campaigns manually. The triggers are typically something that the customer did – or didn’t do. Email addresses that are no more in use (hard bounces) are actively updated by asking the customer to give his or her current email address at every opportunity in the other contact channels. An email address is not less valuable than a postal mail address. Prospects visiting the web site of the bridge get targeted display-advertising after their visit. Even though the visitor is not yet identified, he or she gets retargeted by behavior-based web ads. The bridge has a mobile app for their customers. With the app, you can plan your trip, and it also prompts you about current offers. The app can also be used to post the trip on social media. Does your loyalty program win the Öresund Bridge? This loyalty program is a nice example of good use of customer analytics and marketing automation. If your CRM program does all the things listed above – congratulations! If the Bridge beats you, how about your competition then, are you able to beat them in the customer centricity game? (*The American version of “The Bridge” TV series features a different bridge, namely the one connecting El Paso, Texas, and Ciudad Juarez, Mexico. Photo credit: Nikos Roussos, licensed under the Creative Commons Attribution-Share Alike 2.0 Generic license. This is an English version of an article published in the Finnish DMA yearbook. This entry was posted in Marketing and tagged Analytics, CRM, Customer Analytics, customer experience, customer insight, Digital Marketing, Direct Marketing, Email Marketing, English, Loyalty Programs, Marketing, Marketing Automation, Segmentation on January 8, 2014 by pekkakanerva.